The Studio is managed by Wiktoria Kowalska who has many years experience designing carpets and rugs for some of the worlds most well known buildings. Wool Classics prides itself in producing market leading design in very quick turnaround time. We often return concept designs within 24 hours and can manufacture woven samples in 48 hours. Wool Classics recognises that to be the market leader in carpet and rug design it has to stay ahead of the fashion in interiors and therefore produces quarterly trend forecasts showing the latest colour and design trends which are coming to the market. To subscribe to the Wool Classics trend report please click here. Our design team is also fully mobile and will call on anyone upon request. We recognise that every project is different so have bespoke solutions for every need. We have no minimums, no limitations on design, colour or creativity. If you can think of it we will turn it onto a rug or a carpet! If you can’t think of it we will surround you with creative ideas and inspiration that we hope will produce the perfect solution for every project. As a smaller manufacturer we also cope better than our larger competitors when it comes to smaller scale projects. We are not just chasing massive hotels, we welcome all enquires. Our design team can design anything and we start with initial concepts which can be done in a few hours. Once we have a concept you like we select colours then start drafting the design fully ensuring it works with every aspect of the interior. Once you happy with the drafted design we produce “pegboard” samples or woven trials so you see and feel exactly what the carpet or rug will be like. We design in a wide variety of fibres and constructions to offer one of the widest product portfolios in the industry. From wool to silk, bamboo to viscose, or nylon and new polymer fibres we inherently know what is the right fibre for the job and we are very careful to guide our clients to ensure all regulations and standards are met. To design is to communicate clearly by whatever means you can control or master. At Wool Classics we believe that the best canvas in an interior is the floor and we want to create works of art for every floor. Our passion for design is matched by our desire to create the most perfectly woven carpets and rugs. One of the problems with design is that poor design is very visible. 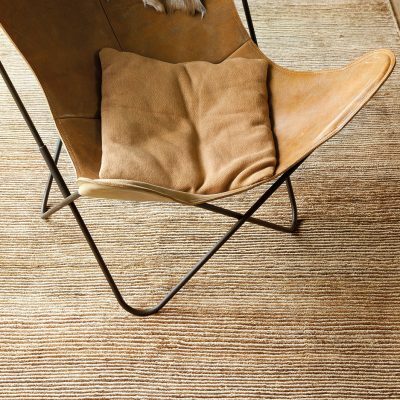 At Wool Classics we understand the interior design process and know when a carpet will work and when it won’t. Good designs begin with honesty, asks tough questions and comes from collaboration and from trusting your instincts.